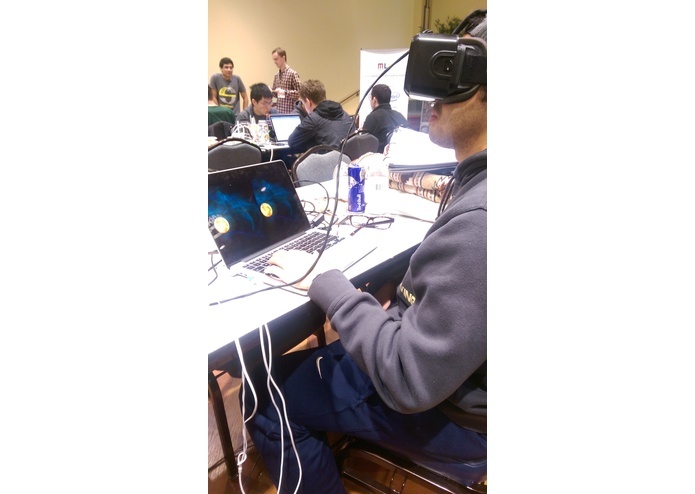 First Hackathon, Oculus Rift, no experience with Unity, you could say we were a little ambitious. 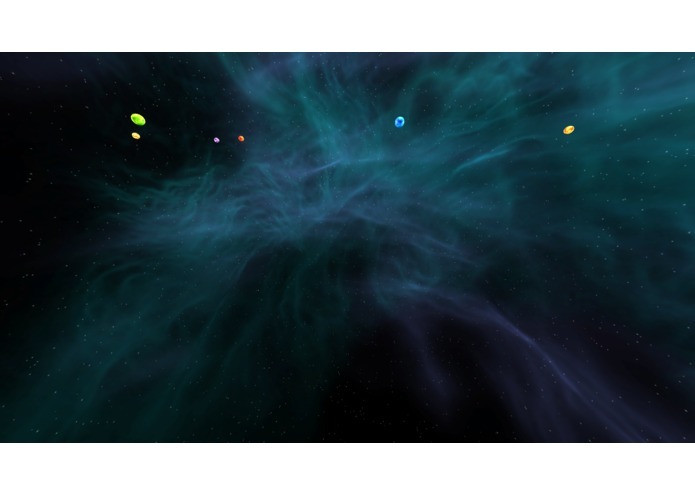 SpaceGame hosts an open Unity scene featuring a dazzling, starry skybox, where the player is entertained by a simplistic model of a solar system, slowly orbiting around a central star. Our primary platform was Unity. We created a scene populated with objects (primarily the Unity PrimitiveSphere) and scripted different movement patterns in C#. We were able to integrate the Oculus Rift as the camera view for the player. Directing the player's movement with the position of the Oculus headset. 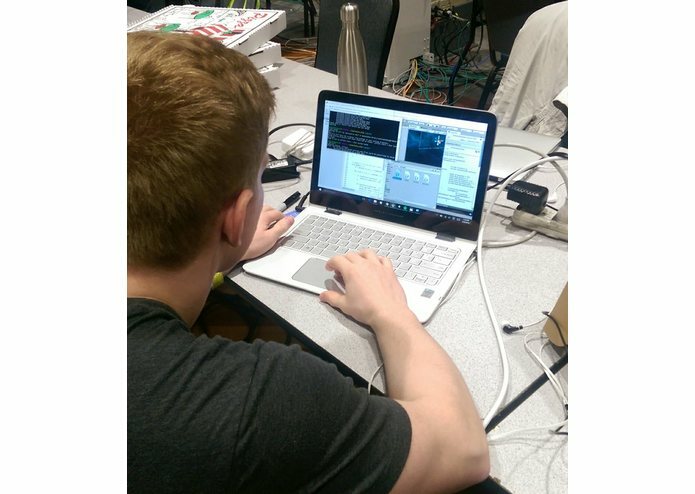 We came with no idea, but were able to make a simple program that takes advantage of the Oculus Rift. Although it was simple, everyone who tried it loved the experience thanks to the Oculus immersion. The basic workings of Unity and some C#, as well as the utilization of Oculus Rift as a display. Implementing more interactive features, lending it a more game-like feel. 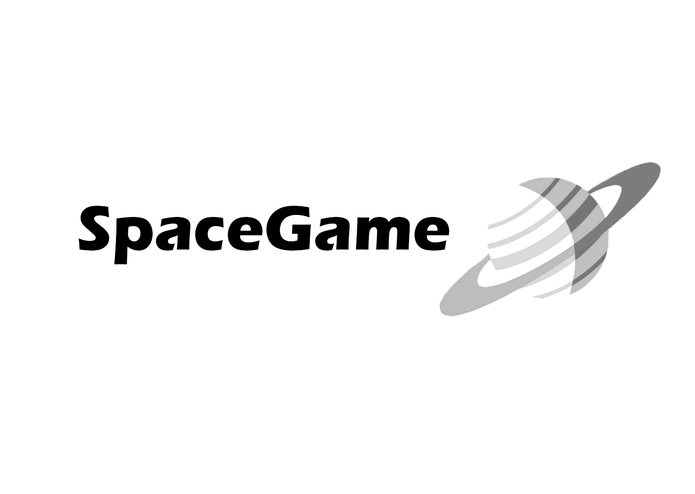 Organized the planet's arrangement and wrote the C# script which caused their motion.